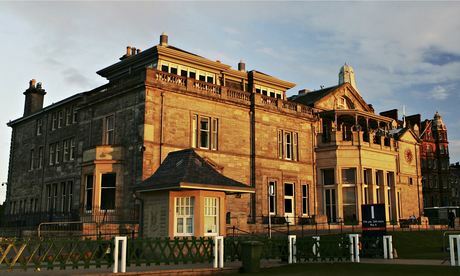 After 260 years, and in the face of growing pressure to abandon its men-only policy, the Royal & Ancient golf club in St Andrews said its committees were now "strongly in favor" of a rule change to drop its ban on female members and had written to its 2,400 members asking them to support it. The R&A, with its famous Old Course, is considered the cradle of golf and in addition to organizing the British Open is also the governing body for golf outside the US and Mexico. The club has come under increasing pressure to change its rules in recent years. In August 2012, the Augusta National golf club – the setting for the US Masters – abandoned its own longstanding ban on female members and invited the former US secretary of state Condoleezza Rice and South Carolina financier Darla Moore to join. The R&A vote will take place on 18 September and requires a two-thirds majority. But even if its members do agree to admit women, three more courses on the nine-strong British Open rotation will still remain off limits to female members. These are Royal St George's, Troon and Muirfield, where the British Open was held last year. Britain’s culture secretary, Maria Miller, former sports minister Hugh Robertson and Scottish first minister, Alex Salmond, all turned down invitations to attend Muirfield last year in protest. The sports minister Helen Grant, who has vowed to get more women involved in sport to address a longstanding gender gap in participation, welcomed the move and called on Troon and Muirfield to follow suit. "This is welcome news from the Royal & Ancient golf club of St Andrews and I urge its members to follow their committees' recommendations and vote yes for women members," said Grant.